Here at Xero we know that cash flow is a top priority for all small businesses, so we look for any opportunity to get you paid faster and more easily. 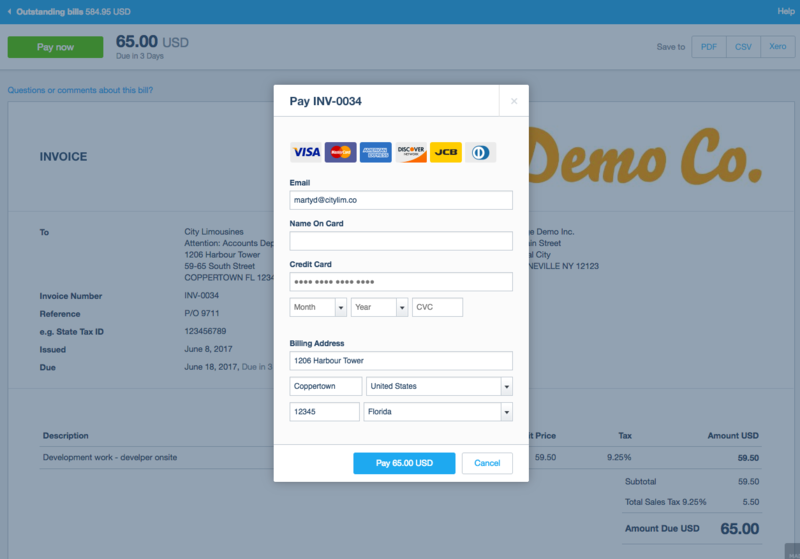 Offering an online payment option to your customers is an easy first step. 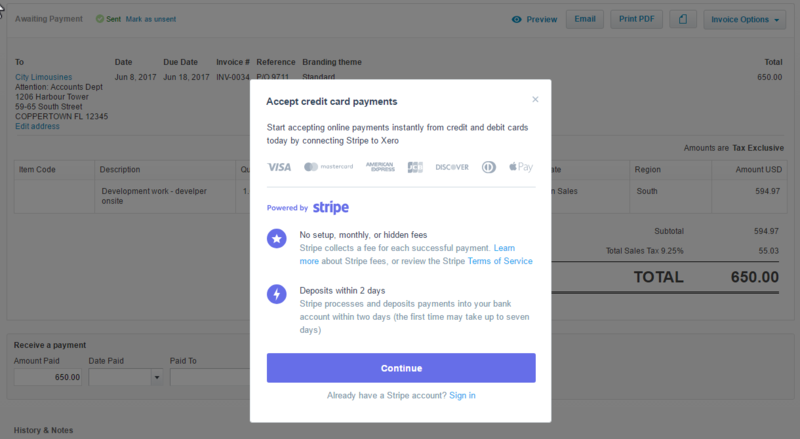 If you don’t yet accept credit card payments for your online invoices, you’ll be able to set this up with Stripe in just a few clicks. When you send your customer an online invoice through Xero, they’ll immediately be able to pay with their preferred credit or debit card. Getting paid isn’t the end of the road for a business, though. Reconciling your bank statements can be a pain, so Xero has created a best-in-class experience for our Stripe users. 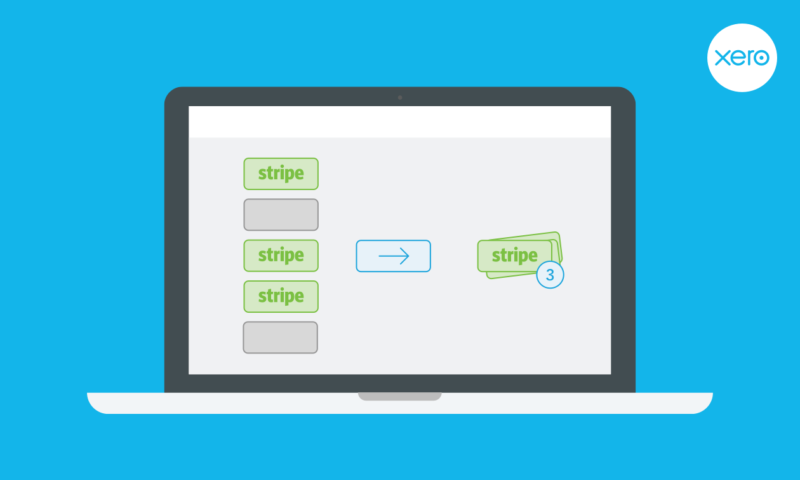 Last year Xero began automating your Stripe fees. What remained was still a largely manual process to reconcile your Stripe payouts. We know how arduous a task it is to log into Stripe, identify the payments batched together in the statement line, use bank rec’s find & match to search for all the payments, search for all the fees, and then finally click OK to reconcile. So we’re proud to announce our roll out of automated Stripe reconciliation! A perfect match can be reconciled in one click within Xero. If there is a difference between the payout amount from Stripe and the total found in Xero, Xero will still find all the relevant transactions and bring them back as a partial match. Please see our Stripe reconciliation help page for reasons why some Stripe payouts may not reflect a full match in Xero. Our goal is to make getting paid with Stripe as smooth an experience as possible. So that you can spend less time chasing payment on outstanding invoices and more your time on your business. We’re working hard to bring you even more features this year to improve your cashflow. Stay tuned! The post Payments update: Xero and Stripe offer first-class payment experience from setup through reconciliation appeared first on Xero Blog.